What is the best way to make some money while spending money online? Sounds like an oxymoron? It sure is :). Ebates.com does exactly that. Sign up for the service and go to your favorite online stores through ebates. They claim to have cash back options for 1500+ online stores and have paid out a cool $85,000,000 in cashback to their customers. So, dont go overboard with online shopping :). But if you are going to shop anyway, might as well go through Ebates and get some cashback. Starbucks raises prices: How do I limit my coffee/latte expense? Starbucks announced today that it is raising prices of its already pricey drinks in atleast 2 parts of the US. They are charging more for select drinks in the Northeast and Sunbelt regions. Excludes California and Southern Florida. The average price hike is 1% across the two regions. The two drinks that are exempt from this price hike are grande brewed coffee and grande caffe latte (note grande). The price hike will help them offset rising commodity costs in 2012. I limit my Starbucks budget to $20 per month. I usually get their short or tall chai tea latte or green tea latte (not a coffee person). I signed up for their rewards program (loyalty card) as soon as they came out with it back in 2008. After continued use, back in 2010 I got upgraded to their gold card. I preload my gold card at the beginning of each month with $20. This works out to around 4 or 5 tall specialty drinks per month or one Starbucks drink per week. If I run out of $20 before the end of the month I dont indulge in Starbucks at all - back to my home or office beverages - not too shabby. I make sure I always swipe my gold card and not a random credit card or pay with cash. This ensures that I can keep my gold card and gold level benefits with every swipe. 30 stars within 12 months gets you to the gold level and another 30 ensures your gold level for the next year. It is unclear what defines a "star", but it seems to me like one swipe on my gold card equals one star. Since I am now at the gold level, I get one free drink every 15 stars. A free drink means one extra indulgence that month or some balance carryforward to the next. I also get a free drink on my birthday and personalized offers and coupons. When they introduced their cake pops and oatmeal, I got free coupons for each. 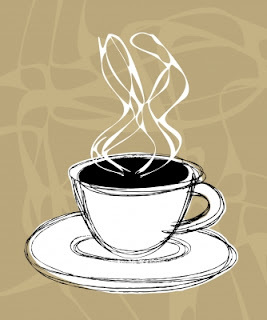 You can also get free refills on regular coffees and teas in the same visit. It also entitles you to free syrup and milk options. Amazon is offering a local deal - $100 travelocity gift card for $50. The link is valid for my local area, but it looks like the deal is nationwide and it shouldnt matter where you buy it from. It is valid at over 55000 hotels worldwide. After the holidays is a good season to travel as its off-peak and you can end up getting a better service in most places. Of course, Travelocity is offering the deal to pick up slack after the holiday season as well. I see this as a win-win situation. I like Travelocity and I have often booked airfare and hotels from that site without any complaints. Update: It is valid for another 16 hours 30 minutes only.. The deal has expired. So, go get it if you are thinking about taking a vacation soon :). 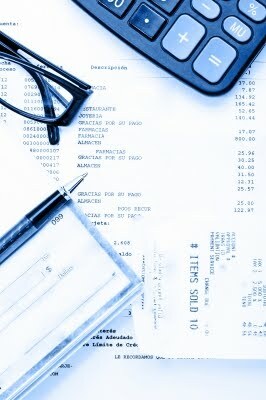 AnnualCreditReport.com: Where can I see my credit report for free? A credit report or credit history is the record of an individual's creditworthiness. When you apply for a loan or a credit card, financial institutions use information on your credit report to determine if they should make you a loan and at what interest rate. Worse the credit report, higher the chances of loan denial or a higher interest rate. In the United States, three major credit bureaus that supply this credit report are Equifax, Experian and Transunion. When you apply for a credit card or a loan, the respective financial institution forwards your information to one or all of these credit bureaus in order to determine your creditworthiness. A lot of people confuse credit reports for credit scores. Both are completely different, though related, and both provided by the above mentioned 3 credit bureaus. 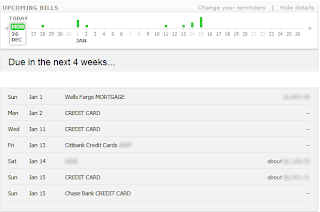 More information related to obtaining your free credit score in my upcoming post. Fair and Accurate Credit Transactions Act(FACTA) was passed in 2003, which required all 3 major credit bureaus to make the respective credit reports available to individuals once every 12 months. Before that, an individual had no access to this information - ?!? I cant have my own credit report? This access was important in order to ascertain what was being reported on the credit reports, was in fact, accurate and to avoid identity theft. Enter AnnualCreditReport.com. It requires users to enter basic information like name, age and social security number. It then drives you to each individual credit agency's website, where you answer few multiple choice questions to verify your identity and then voila - you have your credit report. Since each bureau offers one report every 12 months, you can choose to get one every 4 months or all at once. Its upto you. I prefer getting one every 4 months just to keep myself up-to-date round the year. What does a credit report show? Various accounts (open and closed) - bank, credit card, loan, mortgage etc. Inquiries on your credit report - hard and soft. Hard inquiries are visible to a creditor and remains on your account for 2 years. Soft inquiries are only visible to you and do not affect your credit report. So what are you waiting for? Get your FREE credit report now. If you are like me and love Jamba Juice, you will love this deal - $5 for $10 worth of smoothies, wraps, baked goods, wraps etc. Here is the link - received via Google Offers. Here are the participating locations. Fine print says - Limit 1 per person. Limit 1 per transaction. Not valid toward purchase of gift cards. Not valid at airports, Safeway, Vons or Pavilions locations, or in Hawaii. Not valid at international locations. I personally love their fresh squeezed orange juice. And if I can get 2-3 for the price of one, I love it even more. Only ~10 more hours to go - go get it!. The deal has expired. If you bought this deal through this post, please be nice and leave a comment. With holiday season going on and those still debating about their charitable giving to the less fortunate, here is an idea - Kiva.org. Kiva partners with various microfinance institutions around the world to alleviate financial problems for poor entrepreneurs by making them microloans. You can lend as little as $25 at 0% to create opportunity around the world and make a difference. A dollar can go a long way in some of the less fortunate parts of the world. Personal experience - I have made about 30 loans since the beginning of this year. A picture is worth a 1000 words, isnt it? I use Mint.com to plan and track my financial accounts, set goals and budgets and get a one-stop view of my financial life. Free: Its free! Who doesnt like free? So now you will ask me what the catch is, since there is no such thing as free lunch, right? Right. The catch is that they make money off of ads. You will see loan offers, offers to reduce your mortgage rate, credit card offers etc. when you are logged into your account. I have never received email spam from them though, which is great. I actually sometimes welcome these offers to see what companies are willing to offer me based on my net worth. 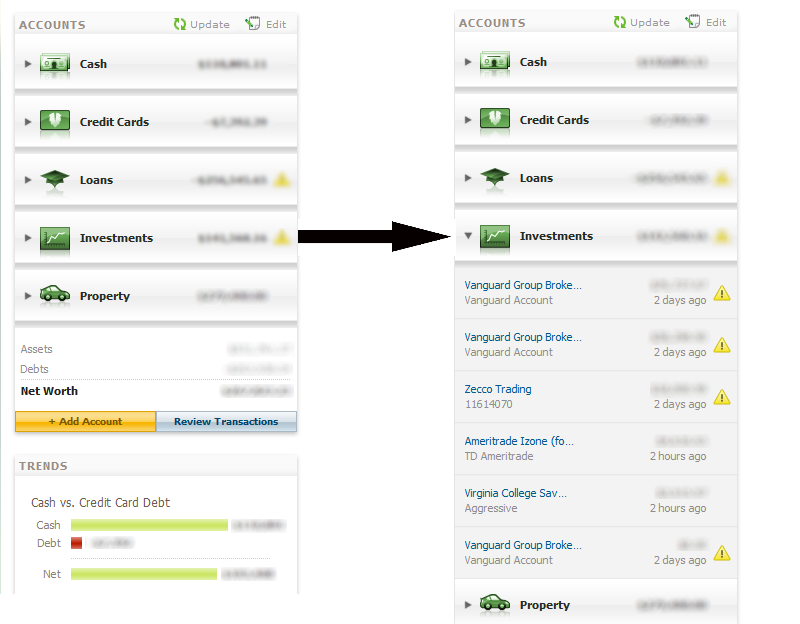 One big picture: Mint lets you track all your accounts (bank, brokerage, investment, retirement) all in one place. 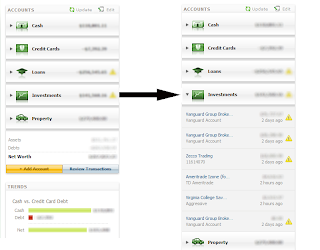 You are able to view all activities and the current state of the account from one place. Budgeting: Mint starts with an automatic budget based on your past activity and lets you customize it. 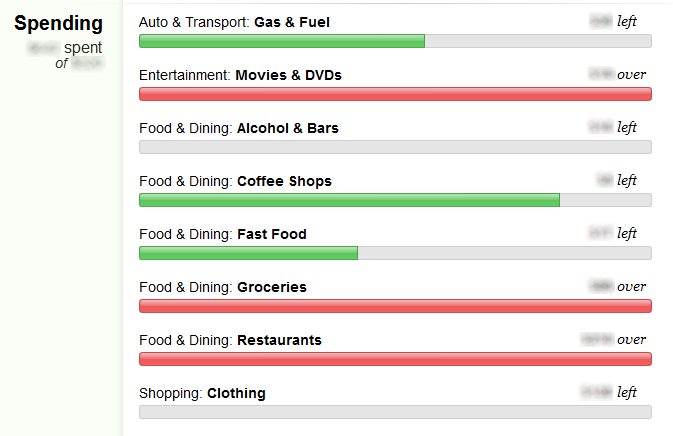 It warns you if you exceed your budget for a particular category in any given month. Keeps my Starbucks visits in check ;). 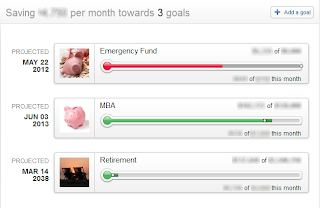 Goal setting: Mint lets you set goals and define what accounts contribute towards your goals. It tells you if you are on track, behind or ahead so far. 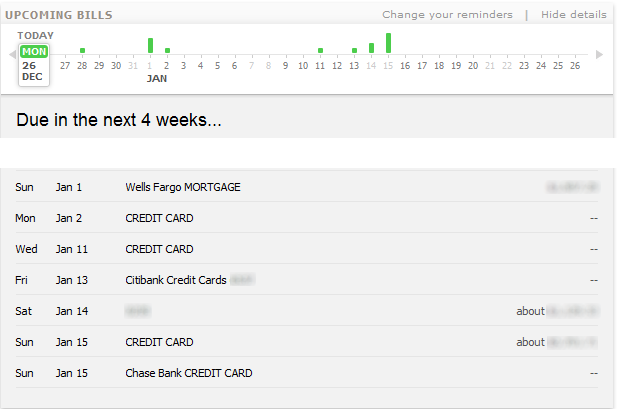 Due date warning: Mint shows you a due date warning for your accounts few days in advance, so you dont miss a payment. Better than setting alerts in your individual accounts, if at all possible, that is. Do you use Mint.com? What is your favorite feature? Leave a comment. What do you see yourself contributing money towards in 2012? 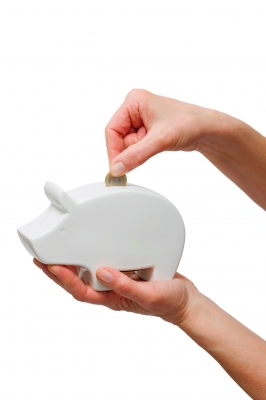 I am just someone next door who loves saving, investing and writing about money. Please do your own due diligence before following any advice on this blog. © 2011 Money Blurbs. All Rights Reserved. Simple theme. Powered by Blogger.